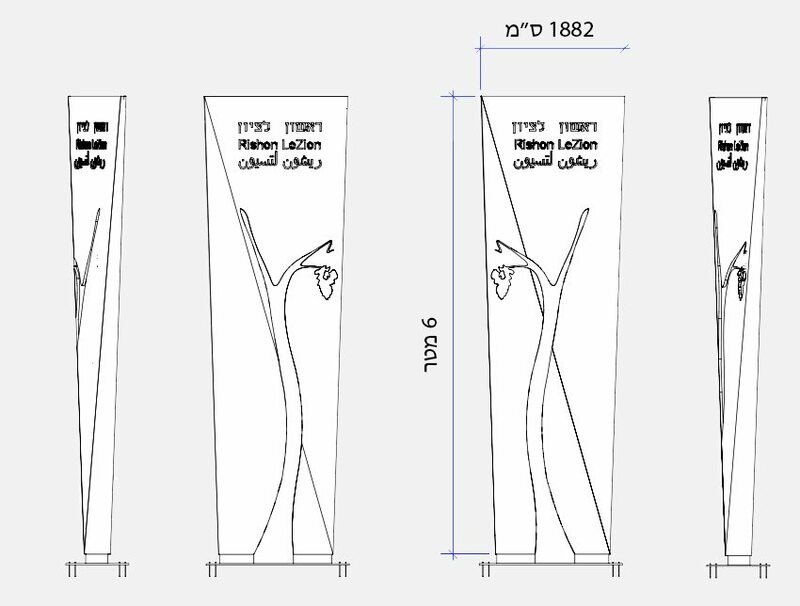 The sculpture won first place and will be placed at the entrances to the city of Rishon Lezion. 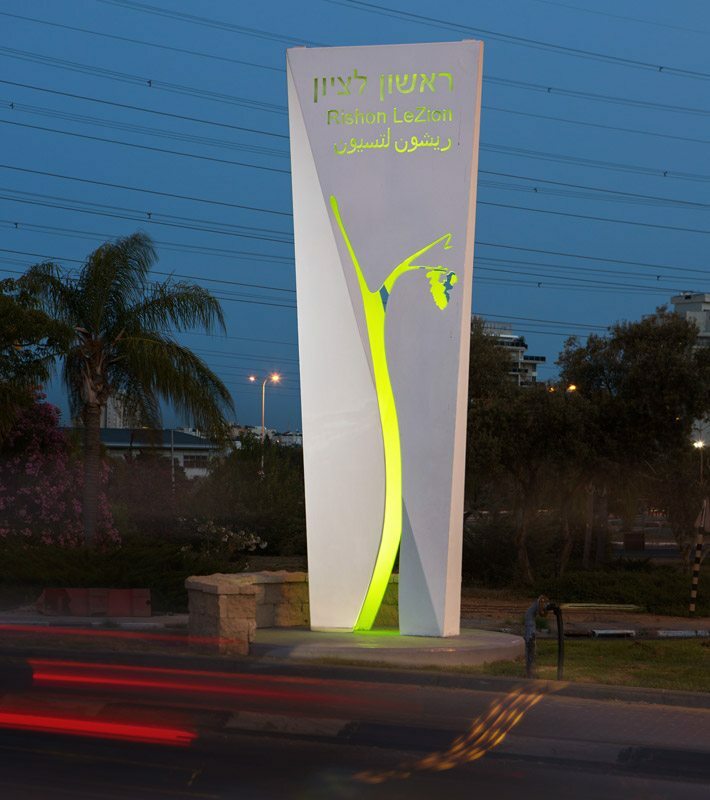 Rishon Lezion – an agricultural colony that vineyards will clean water from the well, has grown to be a city of culture and commerce industry. The statue rises to six meters representing the six monthly drilling. Width represents the element of Aliyah to the ground in 1882 .. The element made of metal panels wide and made of advanced technology (laser) combined with manual welding work symbolizes the beginning of Industry and workshops. The missing part of the metal plates, representing growth of Rishon Lezion and decorated with a bunch of grapes as a symbol and tribute to the onset agricultural colony. Breaks out inside a green light. The high element sitting on a round symbolizes the water well, the stage is covered in part local stone which symbolizes the beginning of construction in the colony.